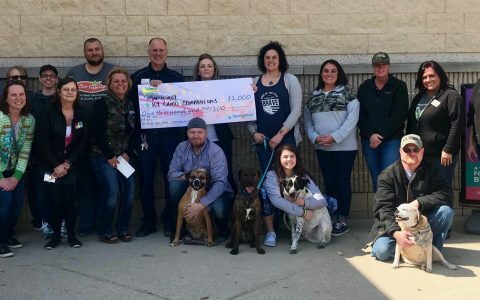 We are beyond excited to receive this donation from SpartanNash and Sparta Family Fare With this Direct Your Dollars money, we will be able to serve Veterans and their companion animals. K9 Camo Companions assists Veterans in not only finding a rescue animal to serve as their companion but set them up with all the companions initial needs. In addition to providing continued support through our Pet Pantry. Thank you to everyone who saved their receipts! Want to help your favorite school or nonprofit earn $1,000? Go to SpartanNash.com/Direct-Your-Dollars to learn how!